The first Bank Holiday in May coincides with Star Wars Day on May the Fourth in the UK. 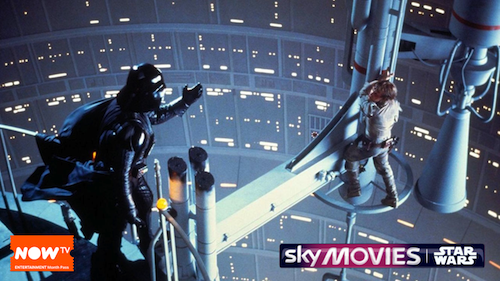 All six Star Wars movies - A New Hope, The Empire Strikes Back, Return of the Jedi, The Phantom Menace, Attack of the Clones, and Revenge of the Sith - will be shown live on Sky Movies Showcase. Followed by a rerun on Revenge of the Fifth. In addition to all six movies. Season one of Star Wars Rebels and all six seasons of Star Wars: The Clone Wars, as well as the feature film, will be shown alongside documentaries chronicling the creative process behind the saga. Haven't got Sky? Start a 30-day free trial with NOW TV today and May The 4th Be With You!